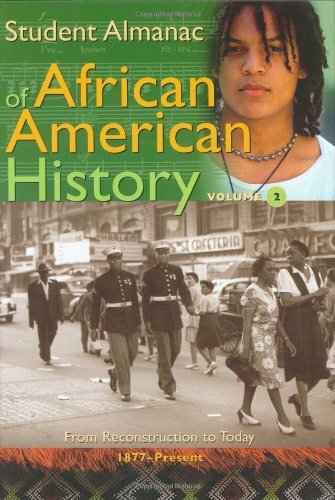 This two-volume set teaches students about the early days of the slave trade and the contributions made by Africans-both free and enslaved-to the greatest moments of American history. Students will learn about the fight against slavery, the laws that made African Americans less than equal even after slavery was abolished, and the continuing struggle for civil rights. The volumes also cover the many remarkable African-American achievements in science, the arts, business, and popular culture. The history of African Americans is rich, vast, and sometimes overwhelmingly complex for students approaching the subject for the first time. This two-volume set begins with an overview essay of the remarkable history of African Americans, from the earliest days of slavery to the stories, figures, achievements, and continued struggles of the present day. An integrated timeline and A-Z section of key events, issues, groups, and terms-including relevant court cases and legislation regarding African Americans-clearly present significant historical aspects for students. Important primary source documents are highlighted in sidebars throughout each volume. Special care is taken, particularly with older documents, to excerpt enough material to contextualize quotes and make them more understandable, but not so much material that young readers lose interest in a sea of daunting language. Unfamiliar terms are further explained in call out boxes that define each term, and the terms are also supplemented by a glossary.